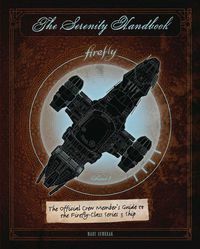 A hungry public got another taste of Joss Whedon's genius when Firefly, his space Western TV show, debuted in 2002. Millions of fans avidly followed the adventures of Malcolm "Mal" Reynolds, Zoe Washburne, and River Tam. Shiny! Although the TV series was short-lived, fans were soon rewarded with a major motion picture, Serenity, which won IGN Film's Best Story, Best Sci-Fi, and Best Trailer awards. Legal Notice: Entire contents trademarked (® or TM) and copyrighted (©) 1986-2019 by Things From Another World, Inc. and respective copyright and trademark holders. All rights reserved. Page rendered at 2019-04-25 19:32:41 in 0.397 seconds.